Long train journeys, exhausting trips in the car and long haul aeroplane flights can be very boring. Everyone has that though, ‘What am I going to do to pass the time?’ And even more so when children are involved! This category contains a number of different classic games that are ideal for these stressful times. Each one is small enough to be packed up in a bag but still packs the excitement and thrills of the classic board game. 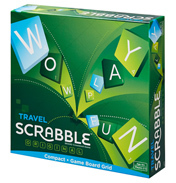 Choose from family favourites such as Travel Cluedo, Travel Connect 4 and Travel Battleship plus many more! One of our favourites though has to be Guess Who?! 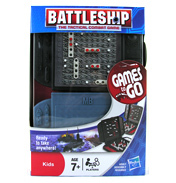 This really is a family friendly game and gets children thinking and involved within conversation. At last, your long holiday journeys won’t be a bore anymore!